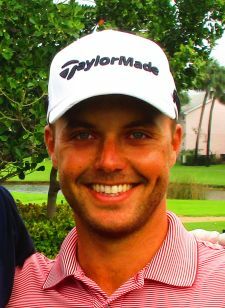 JUPITER, Fla. – Eric Cole of Orlando, FL, claimed his 37th win on the Minor League Golf Tour after hitting his tee shot into the water on the third hole of a playoff Tuesday. Cole and Dylan Jensen of Martinsville, VA, had tied at three under par 69 at Jupiter Country Club. They halved the first two extra holes with par-4 and par-3. Then at the drivable, 289-yard par-4 third, Cole hooked his tee ball into the water and Jensen put his down the middle of the fairway. After taking his drop, Cole hit his third shot to 18 feet and two-putted for bogey. Meanwhile, Jensen reached the green in three some 30 feet from the flag, putted to five feet but missed his bogey putt to extend the playoff. In regulation, Cole made three birdies on the front and finished with 10 straight pars. Jensen had five birdies and two bogeys. Cole collected $560 from the $1,625 purse, raising his career earnings to $98,128 since August, 2009. Jensen cashed his first check in three MLGT starts worth $400. 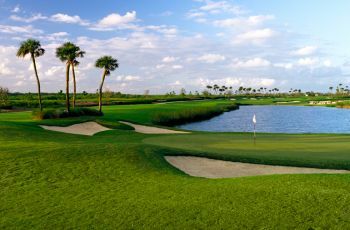 The MLGT’s next tournament is scheduled for Wednesday at the Country Club of Coral Springs, host site of Major I at the end of January each year.